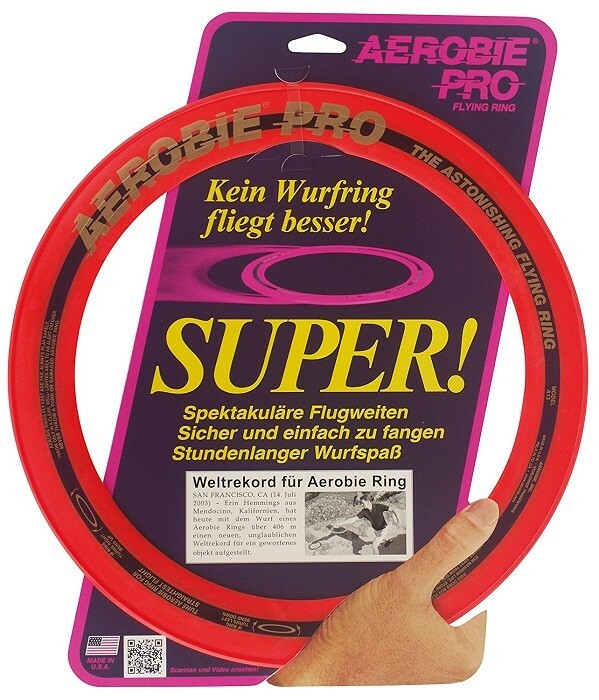 Aerobie's Pro Flying Ring set the Guinness World Record for the farthest throw! This 13" ring features soft rubber edges for comfortable catches and awesome throws. The patented high performance design makes it easy to throw this ring amazing distances, so it's great fun in the backyard, park, camping, and more. For more games to play outside, check out our Outdoor Games Collection.